If you're looking for materials that are different from traditional preparation books, then join the schools below in moving to the "I'm Not Afraid... Anymore!" materials. Whether you have a large program or you're tutoring one student, "I'm Not Afraid... Anymore!" can help. Literacy Council of Southest Louisiana, Inc. 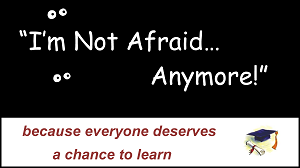 NOTE: All schools and organizations listed purchased "I'm Not Afraid... Anymore!" materials in 2016 and/or 2017. Christopher Myers - "Join the Movement!" A very wise man once said that FEAR is an acronym that stands for False Expectations that Appear Real. By changing one’s expectations, you can help them to eliminate their fears. 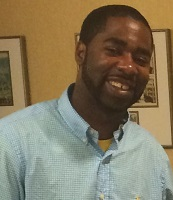 My name is Christopher Myers, and I am an HSE instructor that teaches all subjects and to all levels of learners. “I’m Not Afraid of Math Anymore!” has changed the face of my classroom. It’s the most wonderful thing to see your students fall in love with Math for the first time. This book has given us a clear, concise, and easily comprehensible breakdown of the concepts that are on the math section of the high school equivalency exams. Once the students understand the concept which is the “why,” the answer which is the “what” becomes an easy task which they are eager to complete. I have literally witnessed their confidence level rise. Their expectations have now changed thus eliminating their fears altogether. They are indeed no longer afraid of math. Mrs. Susan Bernard has provided us as instructors with a quick reference “Cliff Notes” type of manual for the GED®-HSE math tests and has done so in a manner which has not compromised the meanings behind these concepts. It is efficient. It is comprehensible. It is straight to the point. There is now less complaining in the classroom and more computing which means the students are now less agitated and more accomplished. I could go on and on about how this product could help your program or help your classroom reach its full potential, but less is more. 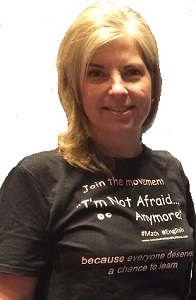 I simply ask you to join us on the “I’m Not Afraid of Math Anymore!” movement.